Young people: do you want to take care of your parents forever, providing both physical and financial care — until they (or you) pass away? If you are rich and can easily provide for them, then fine, you are lucky. But if you are like most folks, you will own the health problems of your parents, for many years. So you need to decide which party will be most decent and helpful to your folks. Democrats want to provide for your parents. They designed and built programs like Medicare, Medicaid, Obamacare, and Social Security, and will protect them. Republicans? They want to cut or eliminate these programs. They speak about them contemptuously, calling them “entitlements”, like charities, instead of the safety net programs which they are, and which we adults have put money into for decades. Republicans blame safety net programs for the national debt — never mentioning the gigantic tax cuts they gave the rich, which so deeply reduce the money available to run the country. Are your parents in such good health they will never need government help with medical care? Probably not. According to the National Health Council, roughly 40 % of adults have one or more chronic diseases: long-lasting or incurable. Republicans fear your parents might be lazy, and so they want a work requirement attached to all Medicaid help. Are your parents able to work? So that’s care, which everybody needs, sooner or later. There is also the possiblity of cure. What if some of the diseases of aging could be alleviated by regenerative medicine: stem cells and gene therapies? Senators like Heidi Heitkamp of North Dakota, and Claire McCaskill of Missouri support both care and cure: safety net programs and regenerative medicine. I talked with Senator Heitkamp once. It was in 2012, and I had been writing articles for the Huffington Post, supporting stem cell research. I wanted to find out Senator Heitkamp’s position. 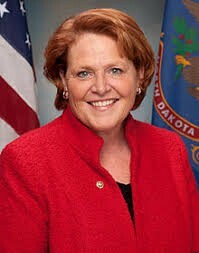 Senator Heidi Heitkamp (Wikipedia) supports both care and cure for people like your parents. I talked to one of her aides first, and he explained to me that North Dakota was a very conservative state, and that Senator Heitkamp was the only elected Democrat in the entire state, so she had to be extremely careful. But Senator Heitkamp was and is a very courteous person, and suddenly there she was on the phone with me, interrupting her schedule to talk stem cell research. I can talk stem cells when wakened from a deep sleep, and I rattled off my usual stuff, including the business angle, of special interest in a conservative state. Everybody needs a good-paying job, and biomedicine is a terrific employer. In California, biomed is already the second largest industry, and still growing so fast a special law had to be passed (Senate Bill 472, the Biomedical Training and Stem Cell Research Education Act, Romero/Steinberg) to insure enough trained workers would be available to meet the growing demand. So many conditions might be helped by regenerative medicine therapies; blindness, paralysis, cancer, Alzheimers’ and more. Unlike her Republican opponent, Senator Heitkamp supported stem cell research; she did then, and she does now. 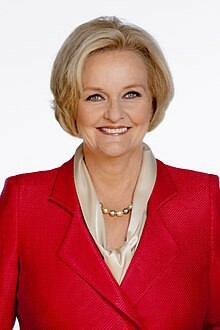 Senator Claire McCaskill (Wikipedia) has fought hard to advance stem cell research in Missouri and America. What if Mom or Dad comes down with an incurable disease: who will be stuck with their care and maintenance? You, the young people. You will have to be their unpaid nurse-attendants, changing diapers on an adult, giving them their showers, buying a wheelchair and pushing it — or paying someone else to do the attendant’s chores. Republicans want to reduce social programs like Medicare, Obamacare, Medicaid, and Social Security — Democrats want to protect them. On November 6th, vote: to protect your parents! And if you are the parents, vote — to protect your independence! Remember in November! Don c. Reed is the author of numerous books on sharks, dolphins and stem cell research: Most recently, “CALIFORNIA CURES: How the California Stem Cell Program is Fighting to Cure Your Disease!” from World Scientific, publishers of the late Stephen Hawking.